Students must demonstrate the ability to produce and control the attitudes and movements of the aircraft. 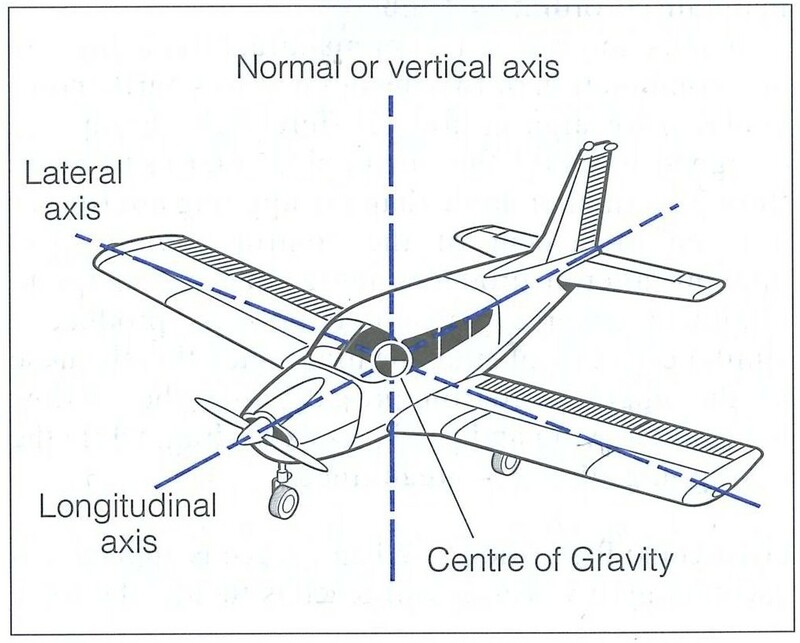 You must become conversant with the four aircraft attitudes (positions of the aircraft) and the three movements used by the pilot to produce and control the aircraft attitudes. This exercise is not a flight test item, but is evaluated in conjunction with other exercises. There are four attitudes and three movements associated with flying. The most important attitude is the cruise attitude, as it is the reference for all other attitudes and movements. The cruise attitude is attained with level flight attitude, a constant altitude, a constant airspeed, and power, and level wings. The nose of the aeroplane (or glareshield) is held approximately one hand-span below the horizon as viewed from the pilot’s seat. The cruise attitude, however, varies with airspeed: with the slowing of the aircraft, the nose will appear higher relative to the horizon; with increasing the speed of the aircraft, the nose will appear lower relative to the horizon. Be sure throughout that you keep the glareshield (dashboard) level. From the cruise attitude, the nose-up attitude is obtained by lifting the nose to the horizon, maintaining the wings level, and controlling yaw with the use of rudder; this is also referred to as the climb attitude, and is always associated with the full application of power. The climb attitude is confirmed by a decreased airspeed (requiring the use of power), and an increasing altimeter. The heading indicator should remain constant, indicating straight flight. Because of asymmetric thrust and slipstream from the propeller, rudder deflection to the right will be required to keep the nose going straight (discussed below). From the cruise attitude, the nose-down attitude is obtained by lowering the nose to approximately three hand spans below the horizon, again maintaining the wings level, and controlling yaw with the use of rudder; this is also referred to as the descending attitude, and is always associated with the reduced application of power. The descending attitude is confirmed by an increased airspeed (requiring a decrease in power), and a decreasing altimeter. The heading indicator should remain constant, indicating straight flight. This movement of the nose of the aircraft up and down is referred to as pitch movement, and mastering pitch control (producing and controlling the desired pitch angle) is crucial to aircraft airspeed control. Pitch control is produced by the movement of the control column forward or back. A second movement is referred to as roll movement, which allows the aircraft to enter a banked attitude. Roll is simply produced by rotating the control column left or right much like rotating the steering wheel of a car. Once the desired bank is obtained, the movement is controlled by reducing the rotation of the control column and simultaneously placing it in the neutral or level position. The final movement is referred to as yaw, and unlike pitch and roll, it is usually an undesired movement that the pilot seeks to control through the application of rudder. Control of yaw is visually confirmed by the pilot by maintaining the ball positioned in the centre on the turn co-ordinator—the rule is “step on the ball.” Special attention must be given to yaw control during the initiation of roll (referred to as adverse yaw and aileron drag), and during high-power/slow airspeed configurations (referred to as asymmetric thrust and slipstream). If not controlled properly, yaw leads to roll movement and an eventual nose-down attitude. This will be demonstrated in flight.